Zbigniew Małek, MD, is a specialist in General Surgery. Member of, among others, the Association of Polish Surgeons and European Society of Coloproctology. He deals mostly with diagnosis and treatment of abdominal cancers, thyroid cancer, breast cancer and proctologic conditions. 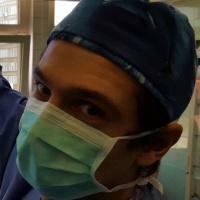 His main interest is laparoscopic oncological abdominal surgery.